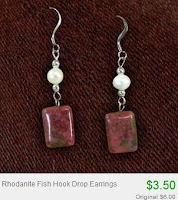 Gemstone, Pearl & Metal Jewelry from $3.00 + 10% Off or Free Shipping! 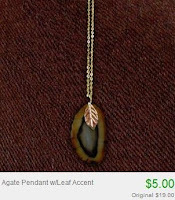 Joy Accessories is featured on Totsy today, selling a nice selection of beautiful jewelry with prices starting at only $3.00! Most items are under $7. The jewelry features semi-precious gemstones such as amethyst and agate, pearls, different kinds of metals and other unique materials. Use the code COUPONCABIN to save another 10% off your entire order! If this is your first Totsy purchase within 30 days of registering, you'll receive free shipping instead of being able to use the 10% off code. NOTE: There are TONS of other sales going on at Totsy right now along with this one! Sales for women, children and home!